The Island's Largest Manufacturer and Installer of Manual & Automated Driveway Gates! Custom Aluminum Driveway Gate, Constructed From 100% Marine-Grade Aluminum. 3" x 2" Frame, with 1.5" x 5/8" Pickets, 8" Custom Formed Kick Plate. Can be fabricated to various sizes! Please contact for pricing on additional sizes. 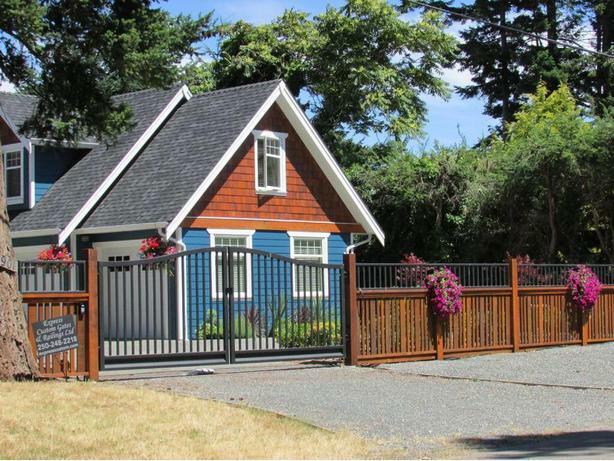 Automated Driveway Gate System, Gate Accessories and Professional Installation Available! Check out our website for more designs!